Janice Marie Moore Weekly, 63, of Ringgold, passed away on Wednesday, Jan. 16. Born in Chattanooga, Janice grew up in Columbus, In. and has lived in the Ringgold area since 1980. She is preceded in death by her husband, Steven Weekly, Sr. and parents, William A. Moore and Bertha Nadine Boozer Plemons. 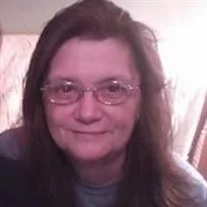 She is survived by three children, Steven Weekly, Jr., of Ringgold, Nathan (Tara) Weekly, of Ringgold and Lori Weekly Dobbs, of Ringgold; two sisters, Joyce Farley, of Nashville, In. and Denise Moore, of Dalton; brother, Shawn Moore, of Columbus, In. ; six grandchildren; one great-grandson; and several nieces and nephews.